Reviews of this mattress line give consumers the scoop on what shoppers really think about this mattress line. 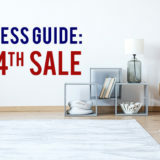 For those of you who may be considering purchasing any type of mattress, it is always wise to do your homework to see how well the bed you are interested is fairing in the market. Reviews offer an insight that you are only able to get from a source that has actually experienced the product. These reviews are important for people who like to research a potential purchase before buying. Anybody who is considering buying a product should always see how it fairs against competition and how it rates with consumers and the same is true for mattresses. After all, a bed is a purchase that can be expensive and the quality of your mattress is something you plan to live with for several years. This is what shoppers have to say about iComfort mattresses in particular. (To see a comparison of multiple mattress brands, see our article on What Brands Have the Best Mattress Reviews?). Serta’s iComfort line is a mid-level memory foam bed collection. 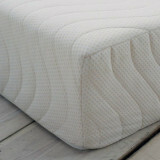 This automatically places this brand in the position of competing with leading memory foam brands in the market. How is it fairing? According to reviews, it seems this line is about average overall but it does excel in a few areas. Most reviews indicate that the mattresses do well at pain relief and pressure point relief. There are positive remarks that indicate that the bed has good motion isolation like other quality memory foams, which has been proven to reduce disrupted sleep for buyers. While the brand is giving other memory foam beds a run for their money, there is one thing that puts this mattress above many others. Most memory foam mattresses are created with a complex chemical makeup that produces an odor that may take several weeks to fade away. Serta claims to use more eco-friendly materials in this line to reduce that. Consumers have indicated that the line does not have as strong a chemical odor as standard memory foam and many reviews indicate that there is no off-gassing at all, though about 6% appear to still notice some. While Serta iComfort beds are newer to the market than some other brands, they seem to be fairing okay in terms of lifespan and durability. About one in 10 owners experiences early impressions or reduced support, which is about average for memory foam, but better than typical spring beds. , The warranty on this bed is 10 years with a trial period of 120 days. This is about the average warranty offer from other memory foam brands. Queen size mattress set prices range from $1,299-2,999 increasing with thickness, putting this line in the medium-to-high range. There are a number of terrific things reported about these mattresses as indicated above; however, there are a few things that consumers are not happy about in the reviews that they’ve written. One major issue is with the firmness of the bed. Ten percent have pointed out that the mattress they tested and the actual mattress they received were very different in terms of firmness. Most reports indicate that the bed consumers received was much stiffer than they expected and remained such. Unlike innerspring mattresses, memory foam mattresses tend to have more unpredictability in firmness levels, even among mattresses of the same make and model. Every memory foam mattress has its own unique firmness to some degree. Uniformity in firmness makes it easier for a consumer to know what they are buying. Make sure the mattress you purchase has the firmness you desire. It could literally cost you many sleepless nights. Other reports indicate impressions in the mattress forming in the first few months, which could indicate durability issues with some models (possibly due to the introduction of the gel, or lower density foams). Consumers who made these observations often experienced trouble sleeping and back pain, likely caused by the sagging mattress. Of the remarks posted on this Consumer Affairs Serta Mattress Review page, many iComfort customers made this complaint. Several were unable to get refunds when they sought them. This problem is essentially one of longevity. A mattress can potentially cause adverse effects when support is lacking due to impressions or sagging. Independent review website SleepLiketheDead.com lists below-average longevity as a possible negative attribute for this line of mattresses. Consumers looking for a long-lasting, durable mattress may want to take note. Heat retention is a significant complaint for most memory foam mattresses, and these mattresses don’t escape this problem. There have been reports that this mattress retains heat and makes for an uncomfortable sleeping environment. This is common among memory foam mattresses, and iComfort reviews seem to come just slightly below average, even though Serta makes claims that it actually is supposed to be cooler than traditional memory foam. Recent studies from Cargill and Tempurpedic indicate that gel-infused memory is not cooler than standard or plant-based memory foams, however. A significant number of buyers have said the dimensions of the bed seemed much smaller (as much as 5 inches from stated specifications) than they thought prior to purchasing. Also, this bed has been reported as being above average for heaviness. This has posed a problem for some people being able to situate the bed or move it later. 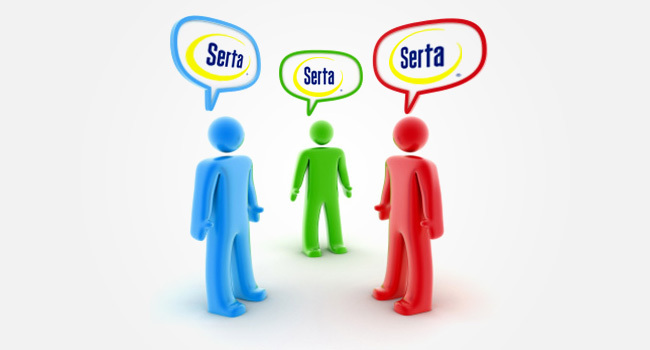 Serta doesn’t consistently disclose the specifications of the iComfort mattress, which makes comparison shopping and informed buying difficult. Many consumers have found this to be a problem. 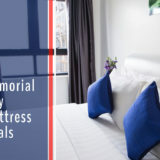 This line is reported as being an overall good option, receiving higher ratings than innersprings but variable compared to other similar quality memory foam beds. There are a number of positive things that stand out when it comes to this bed such as: comfort, less chemical odor, and of course the warranty and trial period. However, there are a few problems that have been reported that center mostly on heat retention, durability, size, and firmness. In short, Serta iComfort reviews indicate that this is a prominent memory foam mattress that is able to compete amongst the best brands in the market, but it is still important to research and compare models to find the best mattress for budget and particular needs. Buying a good mattress is an investment in your health and happiness. Make sure you know all the facts before committing so you can rest easy with your purchase and gain all the wonderful benefits that come from a good night’s sleep. I bought a Icomfort Serta king. I am 5’7”, 165 and my husb is 6’ and 250. Purchased 2014. Moved once. Even prior to the move th mattress had a mid sag or dip. I rotated every month without fail. American Signature Furniture wouldn’t offer any return, trade out, nothing. Will never purchase from them again. The mattress had sagging issues from 1 month on, even though the sales person said the size of the person made no difference. Now, its not comfortable at all, nor has it been for the past 2 years. Saving for a new one, but not Serta. A positive: no odor. That’s about the only positive I can think of. appreciate the reviews! Now I feel relieved that I didn’t invest a lot of $ in a mattress that will sag and be too warm ! I bought one of this mattress 3years ago and have to have it replaced three times and now it is doing the same thing sagging and sleeping in the ruts. I was able to replace them fairly easy the first few times but now that company has gone out of business (go figure) and dealing with the customer support is a total waste of time. Plus they are wanting to charge me to come check my mattress that is there faulty product. DO NOT BUY SERTA!!!! They are liars and will rip you off. Wow, the author of this article should be a used car salesman! 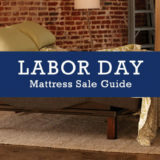 Reading the article makes you believe these are superior mattresses, great buy! Reading the truth posted in the comments paints a very different picture. Our picture is not different from the other comments. $2500 King iComfort Genius…sags to the point that my wife and I sleep in 2 separate ruts. Zero support and comfort. Overall a huge waste of money. We have just started what appears to be a long fight with the retailer and with Serta. DO NOT BUY THIS MATTRESS! we were so very pleased with the purchase of our I comfort mattress but we’re rather disappointed after a few months when it began to sag. It’s been three years now and are already considering a replacement. We were told that the bed had a 25 year warranty. After reading what others had to go through to replace it makes me feel that Serra deserves to be sued for misconception of their products. I am all for a class action lawsuit. What a waste!!! We bought this bed because of the adjustable base because my wife has Chiari. This mattress has caused us more problems than it’s worth. I can’t adjust my side without hers moving and vice versa. We’ve both started waking up with major neck, shoulder and back pain. More often than not I wake up feeling like I was in a boxing match with someone jabbing me in the ribs for 8 hours. I agree with everyone else this mattress traps heat so you will also wake up sweating like you’ve just gotten out of a sauna. I would urge anyone who considers buying this bed not too!!! I’ve been sleeping on this mess for close to a year now and the pain just gets worse. I wish I read these reviews before I spent almost $3000.00 on it. The only thing I like is the adjustable base but I wish I had gone with the king because hubby goes to sleep earlier than I do. But I have the same problem. Hubby and I are both sleeping in holes and there is a big hump in the middle of the bed. This was by the 6 month mark.I wake up in the middle of the night feeling like I am twisted. I wake up in the morning with back and hip aches. This was a major expense for me but I thought it would be worth it due to my chronic pain. This bed is worse than my old spring mattress. When I get enough money saved this bed is going in the guest room and I will be purchasing a new one. It will NOT be a Serta. What a huge waste of money! I was just about to buy one of these, thank you for the heads up. I will steer clear. We have gone through 3 beds in 5 years They were great for the first 6 months but then they all started having indents where your shoulders and hips are. these mattresses all came from Sears they replaced the 2nd one and the same thing happened with in a year and we now have yet another one from sears and we have boards under the mattress,that is only 6 months we did not take the warranty because we had so much of out experience we already went through Sears won’t replace it this time, So never buy at Sears the mattress don’t stand up. I wish I would have read all the reviews prior to wasting this much money on a mattress. It is horrible. The first one we had, you thought you were sleeping in a hammock. When they replaced it within the 120 days, at first I liked it. Now after a couple of years, my back pain is horrible. My husband who had no problems prior to getting this mattress, now has bad hip pain. I called the furniture store and they said it would cost $69.00 to send someone out to check it. Or I could measure it myself, which I did. Ours is over 1 1/2″ sagged in certain parts. You wouldn’t think a 1 and 1/2″ sag was bad, but when you lay down you sink into a sink hole. I’m not exaggerating you are in a hole and that is where you stay until you climb out in the morning. My pain as I said is horrible. For the last week and a half I have been sleeping on the couch and I have some relief by doing this. It is so bad my husband and I argue who has to sleep on this mattress, we both want the couch. I’m going to write and complain to anyone until who will listen until they do something about ripping people off. OMG!!! I’m so glad I found this page I was seriously thinking buying one of these for my fybro and other health problems. Now I know to run..
We purchased the Icomfort mattress at Ashley Furniture Store. We debated about the memory foam because we heard that they held the heat. The sales person said the gel infused foam was the technology introduced to keep the mattress cooler and we bought it. Like so many of the other reviewers on this page, after only 4 months, my husband is complaining about the lack of support and he feels like he is sleeping in a hole. My side of the mattress has retained more of the support. When I called Ashley I was given the Serta Customer Service number because they no longer sell Serta products at our Ashley store. (I wonder why). When I called Serta – I was told I need to pay to have a technician come and measure the foam and if there isn’t 3/4 of an inch difference on the side with the problem, nothing will be done. The measurement will be made without any weight on the mattress (Really !!!) The problem exists when you lay on the mattress. We paid a lot for this mattress and I feel as though we were sold an inferior product with defects and the company will not stand behind their product. They are taking their money and running. Bad business!!! No more Serta products for me or my family. I purchased this icomfort a year and a half ago due to back problems with the softness of my old mattress. I was told by the sales person that you could flip it 2 or three times a year, but actually wasn’t necessary. After six months, the bed seemed softer where I slept. We flipped the mattress. Within two days it seemed saggy again. I have dealt with it for the past year trying to decide if it was my imagination or not. The bed didn’t look lower when I got up? My back is starting to hurt again. This morning I thought that I would research this. WOW! And I am still paying for it. Thanks for everyone’s comments. Where are the attorneys for class-action lawsuits? Bought I comfort mattress. Awful smell. Bad on my allergies. Arthritis is worse. Pain has doubled since using for five weeks. At 2,500.00, it is a terrible waste. Does not keep me cool, as advertised. Was told I would get use to it. Not hardly. Do not waste your money. Has no support. What a waste of money. That 120 trial is a joke, it takes much longer to determine if the mattress is a good fit. 2000.00 for quick sand. You start at the edge and you end up in a rut in the middle of the darn thing. Don’t even think about using this bed for intimate moments, OMG total frustration because you can’t move, it literally feels like you are in quick sand. Owners for less than a year, my husband was having so much back pain, we snatched it off and replace it with the good old fashion spring mattres that was up in the guest bedroom. What a costly disappointment. PURCHASED OUR BED 3 MONTHS AGO AND HAVE HAD NOTHING BUT PROBLEMS WITH THE BOX SPRINGS. IT IS VERY FRUSTRATING TO SAVE MONEY FOR A NEW MATTRESS, FIND ONE YOU LIKE, AND WITHIN 3 MONTHS WISHING YOU COULD GET THE PROBLEM FIXED BUT CAN’T. VERY UNSATISFIED. Same on my icomfort. After two months, my husband and I are both in separate holes. We are both up during the night trying to work the pain out of our back and hips. Big hump in between us. No satisfaction from the company or the store where we bought this. They even charge you if someone would come and check it just to tell you there is nothing wrong with it. Serta will never see another dollar from us! Over $1300.00 for nothing but misery! The serta I comfort mattress we purchased from Mattress Firm was the worst mattress with sever sagging in less than a year, extremely uncomfortable. What makes matters worse is the customer service! We contacted mattress firm and Serta. They are both difficult and do not stand behind their word or product!!! Well, that scared me away from Serta! I bought this bed and for three months was very happy. After that time the bed has lost it’s firmness. When I contacted Serta they sent someone to come and measure the bed. Without sitting on it it measure 3/8 inches of lost firmness.’they will not do anything about it. They said to call them back in three months. So I twist and turn every night because there is no support. I suggested that they have someone sit on the bed and see for themselves. Their answer was that that is not the way they check their mattresses. I would run the other way if I where you. When you sit on the edge of the bed it goes all the way down. When I first got it, it was firm.